LAHORE -- Pakistani authorities Monday (January 30) in Lahore detained Jamaat-ud-Dawa (JuD) leader Hafiz Saeed and four other members of the group on the basis of the Anti-Terrorism Act (ATA). The federal government has "reasons to believe" that JuD and its charity organisation Falah-i-Insaniyat Foundation (FIF) are "engaged in certain activities which could be prejudicial to peace and security and in violation of Pakistan's obligations to the United Nations Security Council Resolution No. 1267", a January 27 statement from the Interior Ministry said. Resolution No. 1267 imposes sanctions on the Taliban, al-Qaeda and other terrorist groups. Following this directive, Punjab's Ministry of Interior placed the two organisations on the Watch List for a period of six months, which is extendable, and listed them in the Second Schedule of the ATA. "Hafiz Muhammad Saeed, Abdullah Ubaid, Zafar Iqbal, Abdur Rehman Abid and Qazi Kashif Niaz are reportedly active members of the aforementioned organisations," a statement from the Punjab Home Ministry said. "As such, they must be placed under preventive detention." "I am of the considered opinion that detention of Hafiz Saeed is essential to pre-empt him from acting in a manner prejudicial to public peace, tranquility and security, and it is necessary to detain him forthwith," said Punjab Home Secretary Maj. (ret.) Azam Suleman, according to his order. 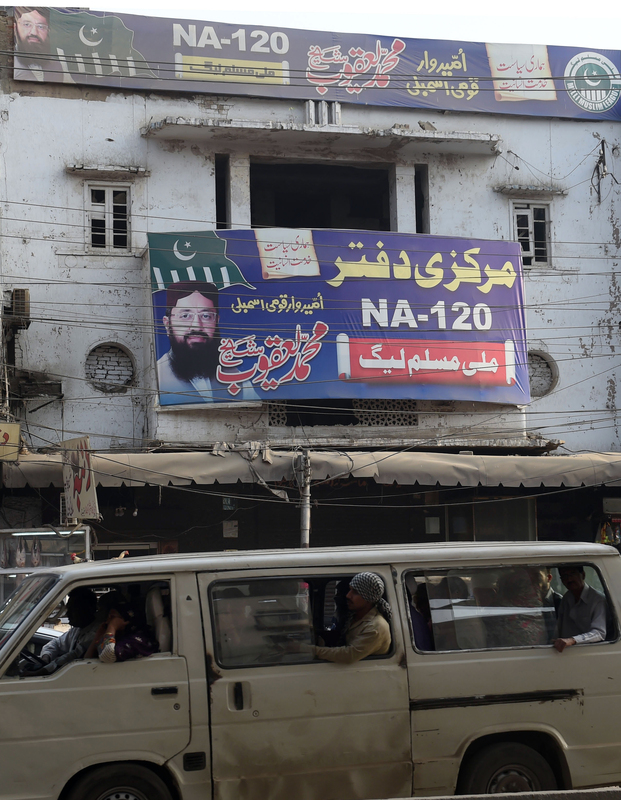 JuD, listed as a terror outfit by the UN, is considered by some to be a front for Lashkar-e-Taiba (LeT), the militant group blamed for the 2008 attack on Mumbai, India, which claimed at least 164 lives. The Mumbai carnage played out on live television around the world as commandos battled ten heavily armed gunmen who arrived by sea on the evening of November 26, 2008. It took the authorities three days to regain full control of the city. Saeed is one of the suspected masterminds of the massacre, and in April 2012, the United States announced a bounty of $10 million for information leading to his arrest and conviction for his alleged role. Despite the bounty, Saeed has led a high-profile public life, AFP reported. For years, JuD has operated freely across the country, popular for its charity work especially in the wake of natural disasters. Saeed has denied any involvement in the attack and denied a link between LeT and JuD. Police took Saeed away from Masjid-e-Qudsia Chauburji in Lahore late Monday and escorted him to his residence in Jauhar Town, where he appears to be under house arrest. "My detention orders are unlawful and we will challenge them in the court," Saeed told reporters before police led him away. About 300 JuD activists staged a demonstration in Islamabad Tuesday afternoon, while a similar number protested in the central city of Multan, AFP reported. In Pakistani-controlled Kashmir, the group staged a joint rally with the Hizbul Mujahideen militant group. "The government of Pakistan should behave and release [Saeed] immediately," said Abdul Aziz Alvi, a local JuD leader. A spokesman for the group, Nadeem Awan, confirmed plans to challenge the detention order in court. The arrest of Saeed and of the other four JuD members shows the international community that Pakistan is sincere in the war against terror, analysts say. However, they add, this is not Saeed's first period of house arrest, so the action could be viewed as purely a political move. "The detention of Hafiz Saeed will not serve anything in the war against terror except to satisfy the international community," senior journalist and analyst Mubashar Bukhari of Lahore told Pakistan Forward. "JuD leaders were given security at home and nothing else," he said, expressing doubt that they will be charged in court. "The JuD leaders will go to court and will probably gain relief as they have in the past," Bukhari said. "The detention is just to deter the international pressure and [...] to assure the international community that Pakistan is sincere in the war against terror," Prof. Hassan Askari, a security analyst in Lahore, told Pakistan Forward. "This is not the first time that Hafiz Saeed has been kept under house arrest; police detained him in the past but released him on court order," Askari said, adding that even if Saeed does not contest his detention, the present court order lasts for only 90 days. "The government is bound to release him after three months, or it has to convince a review board to extend his detention," he said. Defence analyst Brig. (ret.) Mehmood Shah of Peshawar also expressed caution over ascribing too much weight to the action. The detention of the JuD leaders simply shows the world "that Pakistan is ready to take action against Hafiz Saeed and others if it is given evidence", he told Pakistan Forward. "An alliance of international financial institutions had warned Pakistan to take action against Hafiz Saeed and Molana Masood Azhar, as both were banned by the UN Security Council," he said. Azhar is the founder and leader of the Jaish-e-Muhammad terrorist group. Pakistani counter-terrorism authorities took him into "protective custody" in January 2016, but they reportedly freed him by April. "The action [against JuD and FIF] was completely predictable after the warning, as Pakistan always depends on financial support from international financial institutions," Shah said. The Milli Muslim League (MML) is linked to Lashkar-e-Taiba (LeT), the group accused of masterminding the 2008 Mumbai attacks.